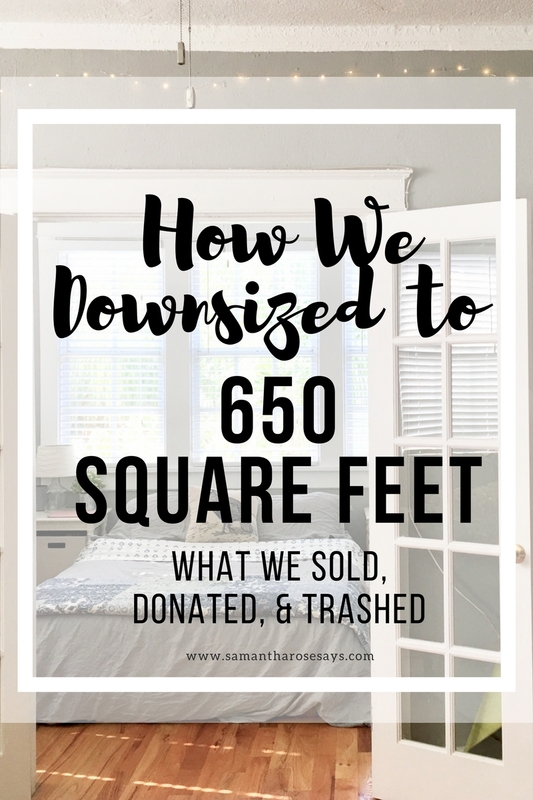 how we downsized to 650 square feet | sold, donated, trashed. I don't know about you, but when a new year begins, I always have the urge to declutter my life in a multitude of ways. As I take down the Christmas tree and put away all of my holiday decor, I usually take some extra time to go through my closet, desk drawers, shelves, etc. to evaluate what should come with me into the fresh new year, and what shouldn't. This year, I didn't really need to do that, because as most of you know, we downsized to a much smaller apartment at the beginning of November. When we moved into our old apartment a few years back, I thought downsizing from 1200 sq. feet to 815 was a big deal. As it turns out, I had no idea what I was talking about. Going from 815 to 650 (split between two people and two dogs) felt like a disaster waiting to happen...or so I thought. At our old place, we had a lot of furniture that just wouldn't work at our new place. In total, we had three entertainment centers (one was broken down, stuffed in our closet), two TVs (one of which we never used), a giant dining room table, and a rickety coffee table. I'm all about donating items to Goodwill and Salvation Army, but I'm also a broke college student, so I wanted to try and make a little bit of extra cash off what we could. 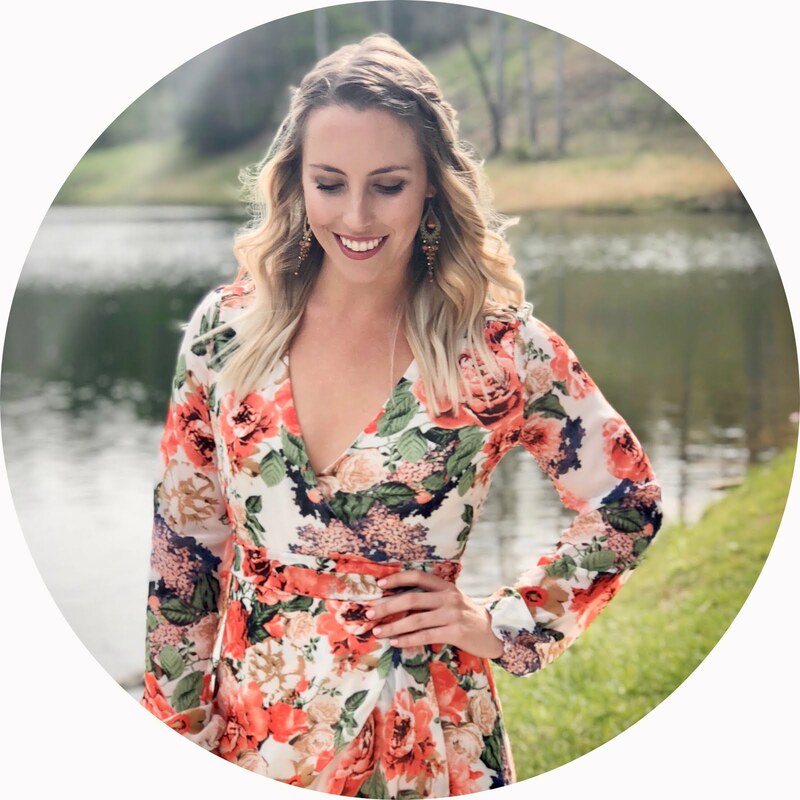 I didn't feel comfortable selling anything on Craigslist, but I'd heard of friends using Facebook Marketplace and swap 'n shop groups to buy and sell clothing and home goods, so I gave it a shot, it was so worth it. Here's a bit of what we sold, what we donated, and what we trashed so we could enter our new space with a clean energy...or something like that, right? Excessive silverware - $10. When my sister hopped across the pond to Europe, we ended up with a lot of their kitchenware, including 30+ pieces of super heavy, rounded IKEA silverware. I found that I always tried to avoid using it, but it was still great quality. Ryan's 42 inch plasma TV - $50. We had two televisions, but really had no use for both, as we didn't have cable. Plus, I've never been one to watch much television in my bedroom. We opted to keep our LG LED TV because it was in better condition, and sold our older one super cheap. So many people were chomping at the bit for this! Old Dyson vacuum - $60. For some reason, we also ended up with two vacuums. If you've been adulting for awhile, you know vacuums are crazily priced, so we tried to price it fairly. Entertainment centers - $25 each. DVDs, old Blu-ray player, brand new Blu-ray player - $20. I actually took these items to a pawn shop and made a quick 20 bucks on our move-in day. Why not, right? Decor we didn't absolutely love or connect with. Clothing, clothing, and more clothing. Excessive dinner plates, drinking glasses, mugs, pots, pans, etc. Unused canned foods we'd had in the pantry for awhile (don't worry, they weren't expired!). Dog toys/old blankets to the Humane Society. Books I didn't care about/didn't enjoy reading. A lot of junk drawer items that we thought we would use but, you know, we never did. Furniture that wasn't very well put together/falling apart/not worth trying to sell or donate. Old wrapping paper, class notes, etc. that I would never end up using again. Be super elaborate in your sale post, unless you want to answer 59384 messages with the same questions. If you're trying to get something out ASAP, be sure to say "no holds" in your post, otherwise people will drag out the process for days. "Can you meet eight days from now? I have my sister's husband's dog's best friend's grooming appointment tomorrow, so that would work best for me." If you have a good product priced to sell, you'll have a lot of people sending you messages, so don't feel bad about not wanting to wait for just one person. Price to sell! But also keep in mind that people will try and lowball you, so don't be afraid to price a few bucks higher on better quality/larger products. In retrospect, it would've been nice to keep a few things we sold/gave away. One of the entertainment centers was an older one of Ryan's, and would have been a perfect (eventual) DIY project. It was just solid piece of furniture...but you know what? At the end of the day, it's all just stuff. And unless it held sentimental value (it didn't), we were ready to part with it. Plus, that extra $300 we made off of random odds and ends funded our entire trip to IKEA to buy new, necessary bits for our place...that's a win-win, in my book. recap: my first week of externship! 2018 | the year of graduation + my goals.